Karen recently relocated to South Carolina from Arizona. She is a licensed speech and language pathologist in the state of South Carolina and an active member of the American Speech, Language and Hearing Association (ASHA). She has worked with both children and adults in a variety of settings in both Arizona and California including early intervention in the home, special education preschool, outpatient clinic, skilled nursing facility and acute care inpatient hospital. She received her Masters Degree in Speech and Language Pathology from Columbia University, Teachers College in New York City and her Bachelor of Science degree at Ithaca College in Ithaca, New York. Her specialties include delayed speech and language development, articulation and phonological processing disorders, motor speech disorders including dysarthria and apraxia, swallowing and feeding disorders, hearing impairment including pediatric cochlear implants and social pragmatic language including autistic spectrum disorders. 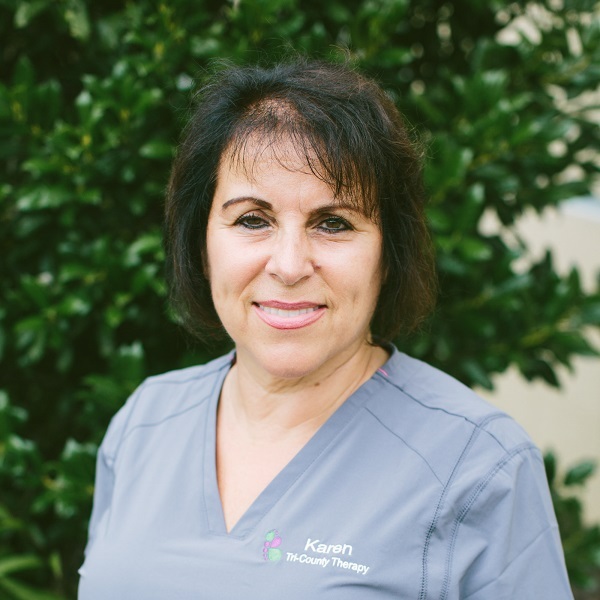 Karen recently participated in Krisi Brackett’s CAN EAT continuing education course, which focuses on a medical, motor, behavioral approach to feeding disorders in children. She also has experience working with Spanish speaking children and their families.